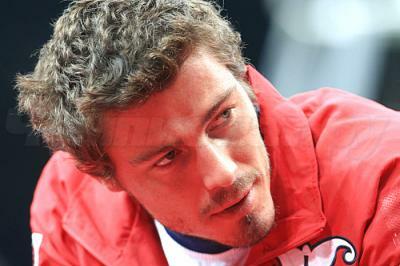 ***all-safin***Марат Сафин toutoutout sur le grand monsieur Safin!!! Hello everybody!! 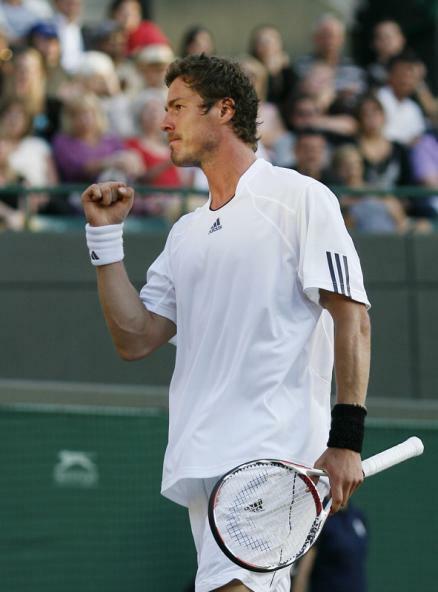 bienvenue sur my blog entièrement consacré à Marat Safin, grand joueur de tennis Russe très talentueux!!!!! DAVAI!! >"I wasn't a genius I wasn't stupid. I was okay. I was a normal guy. Sometimes I cheated in exams. we all do." >"It's too much maybe, but that's the dream. We live because of the dreams." Marat News: Marat spent the last few days in Boca Raton practising with Yevgeny Kafelnikov and his trainer Miguel Maeso who has come across from Valencia to be with him in Miami. 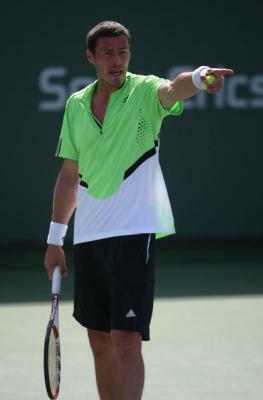 Marat arrived in Miami on Friday the 21st. Hernan Gumy who went home to be with his wife who is expecting a baby (still waiting) will fly back on Tuesday to Miami to be with Marat. Marat and Hernan Gumy get on very well together and they are a good team. 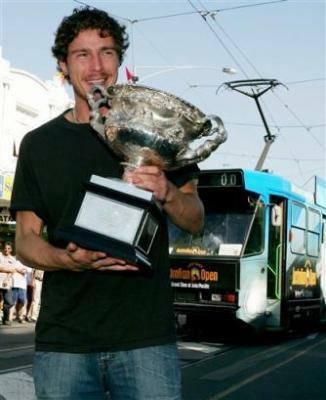 That is why Hernan will be with Marat. Marat has been working hard, he is feeling fit and hitting the ball well. He is still out there and still trying to do his best. If he didn't love his "job" he would not be there. All he needs is to find that magical link and win and he knows the desire will be there. He is taking it day by day but whatever the desire is still there to win. De toute façon Marat n'a pas encore recommencé à jouer depuis l'AO, c'est donc à Memphis (USA) qu'il va revenir en forme (on l'espère) après une petite blessure qui l'a privé de CD, et du tournoi de San Jose. Marat pourra sûrement se mesurer très vite au tout récent vainqueur de Melbourne, Nole, à Moscou lors du 1er tour de la Coupe Davis. Il sera accompagné par Davydenko, Youzhny et Tursunov. ça va pas être du gâteau, mais la Russie a une bonne équipe ! Dernières Nouvelles: Le prochain tournoi ATP ne sera pas Marseille mais San Jose, aux USA ! Marat News: Although thanks to the voting it was certain that Marat would get a WC for Marseilles, it was not clear with the quality of the field in Dubai, that Marat would get the necessary WC. Marat knows he needs the points over the next few weeks to improve his ranking and get him into forthcoming tournaments, so as he is playing well at the moment he decided to try for the US. Marat has been awarded a WC into the SAP Open, San Jose, Las Vegas and Memphis. There is an added bonus for US fans in that on the first Monday night, the 18th February, at the SAP open in San Jose, Marat will play an exhibition match against Pete Sampras - a rematch of the 2000 US Open Final. Should be a very exciting evening.